-15 inch carrying capacity : 12kg. Use: high capacity carry bag for multipurpose use for our daily life.its carrying capacity up to 12kg with 6 partition inside bag.material - made from heavy duty material, with handles being easily washable and made to last large bag carry heavy weight. 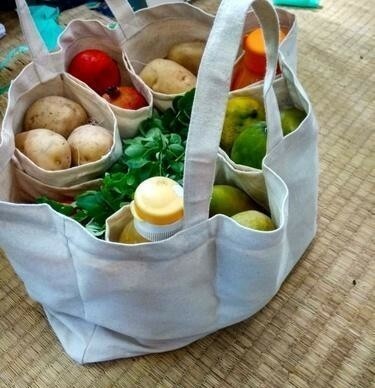 This bag you may use in multiple purpose like vegetable.size : 20*15 inch carrying capacity : 12kg.